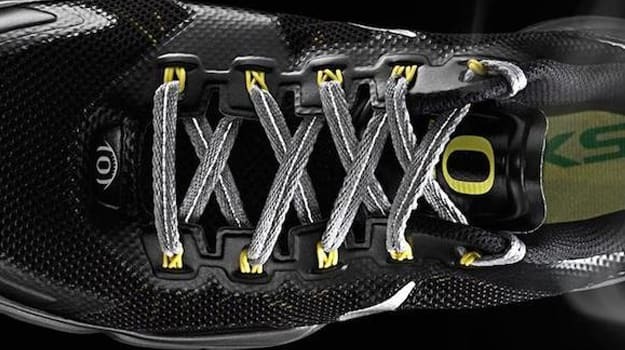 New football uniforms aren’t the only thing Nike is hooking the Oregon Ducks up with this season. After unveiling the predominantly green ‘Oregon Ducks’ Lunar TR1 last month, Nike is getting set to roll out the same training sneaker in a black colorway. Hopefully this is a sign that we’ll see the Ducks take the field in an all-black look in the near future. Stay tuned for updates on price and a release date.